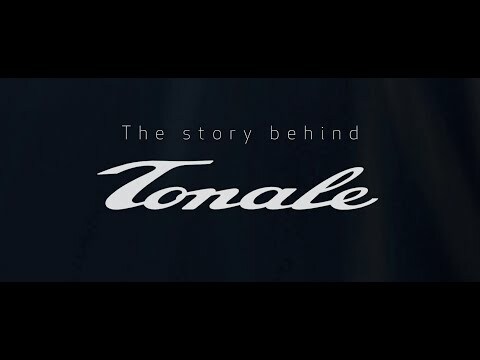 When we take a closer look at the Tonale design, we can see a number of time-honoured design elements that are synonymous with the rich history of the iconic manufacturer, but also create an essence of excitement as they also highlight a modern approach to a car’s anatomy. The model will boast 12-inch telephone dial wheels with exclusive Pirelli tyres, and draws inspiration from qualities of the Duetto and Disco Volante Spider, plus the Linea GT edition gains confidence from the beloved GT Junior. The nods to Alfa Romeo’s heritage continue when you step inside, as the Tonale conjures the passion associated with providing a spirited drive thanks to its dynamic form and pure sculpture. It has been designed around the needs of the driver and will feature a blend of rich, comfortable materials such as the leather and Alcantara, and the cold solidity of aluminium to give it that perfect finishing touch. Advanced technology will also feature in this stunning model to ensure it’s as connected as possible to meet your requirements, at the same time as keeping its sporty driving experience at the forefront. There will be a 12.3-inch full digital cluster and a 10.25-inch touchscreen central head unit, and the new infotainment provides a fluid multi-tasking interface that will allow you to have all of the latest features and functionality available at your fingertips. This model truly does highlight the future for Alfa Romeo and we can’t wait to see this concept car come to life. If you feel the same make sure you get in touch with your local Johnsons Alfa Romeo to register your interest.